As Google continues to make changes to the way people browse the Internet, small businesses are going to have to keep up if they want to continue being discovered on these search engines. Announcing the latest development last month, Google and its partners have officially changed the way advertisements are seen on the search engine’s results page for any given query. 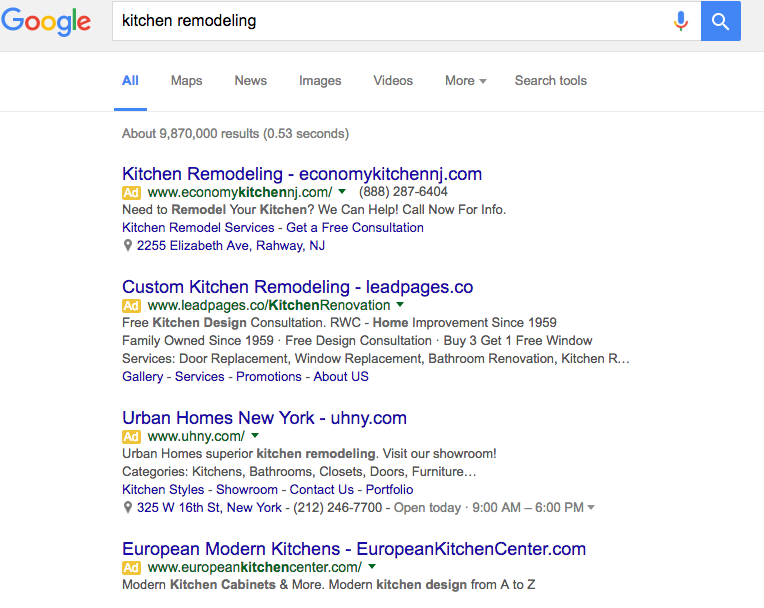 Eliminating text ads displayed on the right sidebar, Google and its partner sites will now show up to four text ads above the organic listings, and up to three below them. Although this may seem like a small change to the search engine results page, it will have an impact on the way small businesses attract and retain new and existing customers on the Internet. Any small businesses who rely heavily on Google Adwords, a Pay-Per-Click program designed to generate traffic for the business, should be aware that the placement that they are paying for will be altered. With Google’s new change, these small businesses are going to have to pay more to secure one of the top four spots on the search engine result page. If a business owner is not willing to pay the additional money for a top spot, they will have to decide if a spot at the bottom of the page is worth it or ditch Google Adwords altogether in favor of a more organic approach. A more organic search approach would include making sure that your business’s information is up-to-date and consistent everywhere it is found on the web. Google pushes reliable content to the top of their searches, making your business easier to find. To find out how SinglePlatform can help you get discovered and stand out, click here.